An eastbound freight passes the second of the two signal bridges at East Crookton on the Santa Fe's Crookton Cutoff. 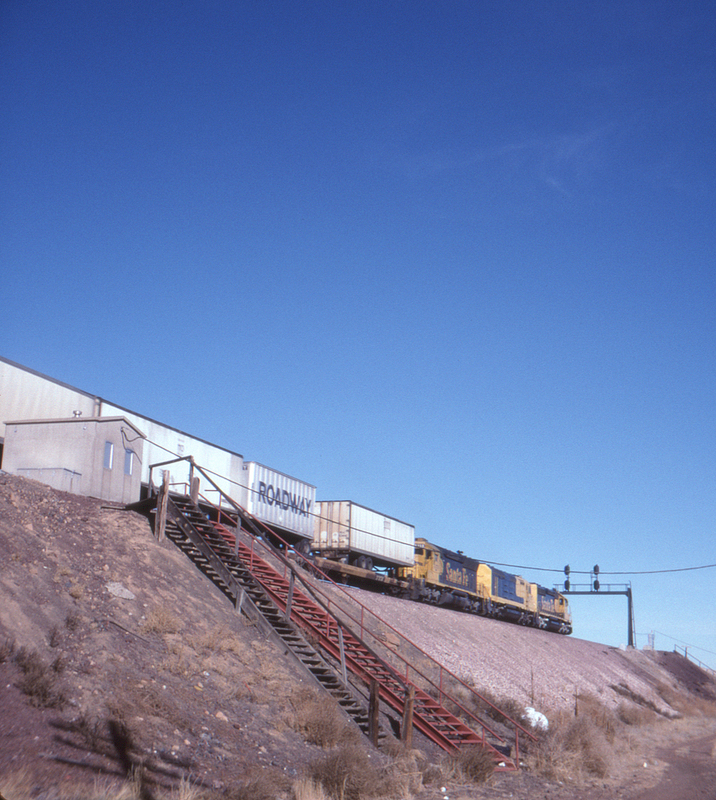 The road's concern for the safety of its employees is evident in the presence of not one but two stairways, one for each signal bridge (one of which is out of frame at the left). It wouldn't do at all to have signal maintainers walking along the narrow right of way at the top of the embankment, considering the speed and frequency of traffic on the Cutoff. It even looks like the original, rickety stairs have been recently replaced by the red painted steel ones.